A cute thank you picture for free sharing and downloading. Blend your thankfulness with your love by sending this thank you my love picture portraying a love heart. This picture portrays light shaded background with love filled love hearts. 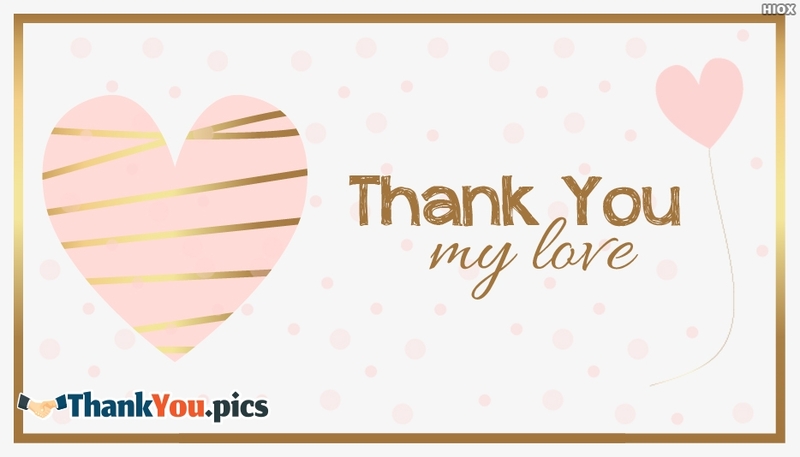 You can share these loving thank you My Love picture with your dear ones for free and express your loving thank you message.